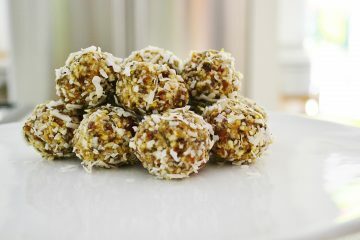 I have made simpler versions of these raw lemon balls once the weather starts to warm up but I decided to energize my original recipe to include some other ingredients that really open you up to feel joy and creative flow in your life. You will feel “blissfully joyful” eating a few of these! 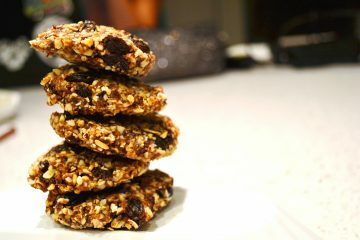 I adapted The Whole Meal’s popular and healthy raw Cinnamon Raisin Cookies for my friend, Kari L., for her Cinco De Mayo get together as she wanted to highlight fresh Mexican as well as healthier, in-theme desserts. This was a hit in testing with both kids and adults as it has just the right balance of sweet and salty with a punch of lime. I was looking for a whole foods alternative to the highly processed “energy” bars (more like crash and burn) so favored by my daughter, who is a swimmer. Upon experimenting with different dried fruits, this was the final version that won her approval, as well as her teammates and friends. 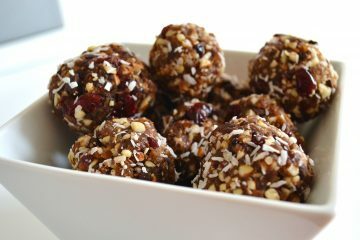 Nuts provide a bit of protein, dates and cranberries are a natural sweetener, and coconut adds good fat. I usually add some unsweetened cocoa powder and semi sweet chocolate chips for the chocoholic in all of us! 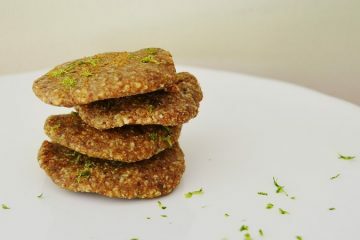 It’s a no cook (all you need is a food processor) snack, treat, dessert your family will love. Once you get a hang of the basic recipe, you’ll enjoy making variations on the basic nut and date base. 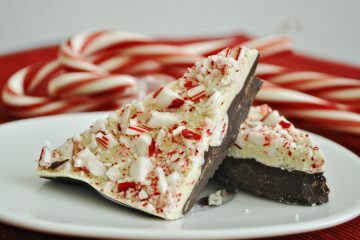 This is the peppermint bark my daughters make every Christmas for their teachers, family and our neighbors. It is super easy to make, it’s economical, and it is a welcome treat both for its deliciousness and the love put into making a homemade gift. My daughters want to share the love with you! 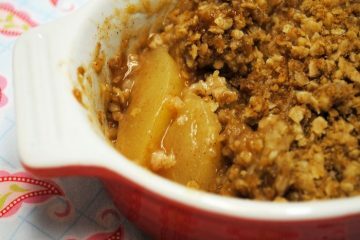 This is a variation of my ginger pear crisp. It’s slightly sweet and perfectly tart from the fresh cranberries. I like to make this between Thanksgiving and the Christmas holidays when fresh cranberries are in season. 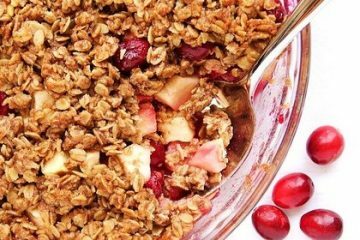 I love to serve this for breakfast in the winter, but crisps are a great dessert (try it with vanilla ice cream!) or treat anytime. This version is especially healthy, so no guilt needed. Twitter inspiration strikes again! This time in the form of a pumpkin mousse that was the main filling for a pumpkin tiramisu recipe tweeted from Food and Wine Magazine. By the time I got around to testing the recipe my daughters had found and devoured the lady fingers needed for the recipe. 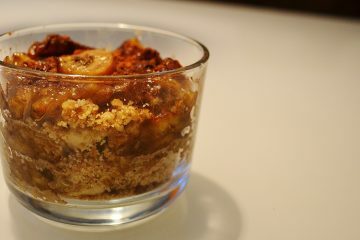 I am a big fan of bite-sized desserts and decided that the mousse could play the star role with a raw nut and dried fruit crumble as its side kick. My first test batch of 15 tarts were gone in 5 minutes! 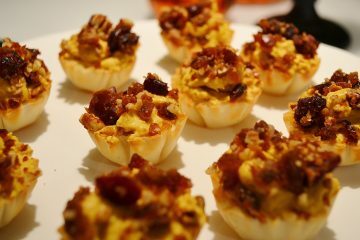 It’s creamy fall flavors wrapped in buttery phyllo topped with a crunchy sweet crumble; this is a must at my Thanksgiving dessert buffet. 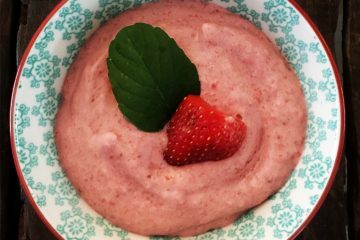 I am not much of a baker but I love to make easy, simple raw treats and desserts, which are a healthier way to satisfy that sweet tooth anyway. Here is one of my favorites that can be made year round. Raw foods tend to be dense and this recipe is no exception which means smaller portion sizes are very satisfying.